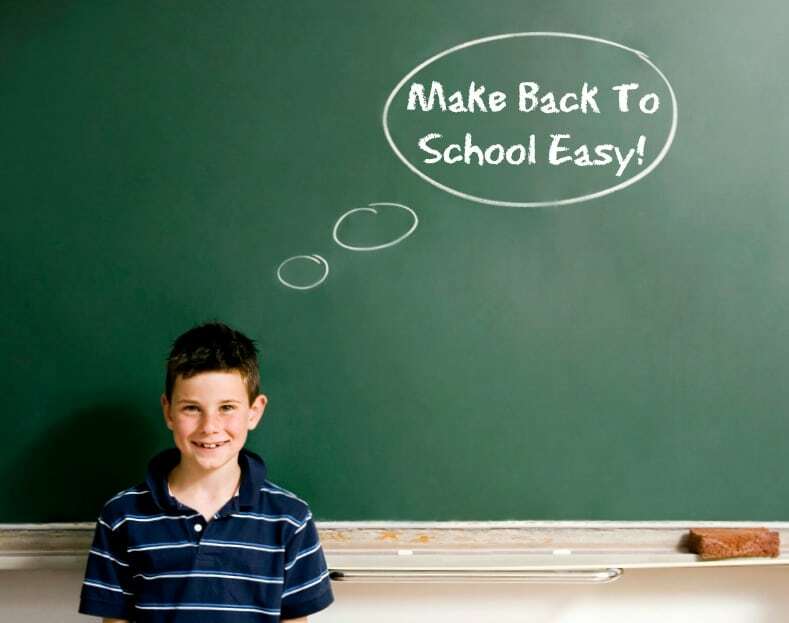 It is back to school season again, which can be both exciting and stressful for students and parents alike. By making a few changes to your daily routine now, you can help ease that stress – both for you and your child. 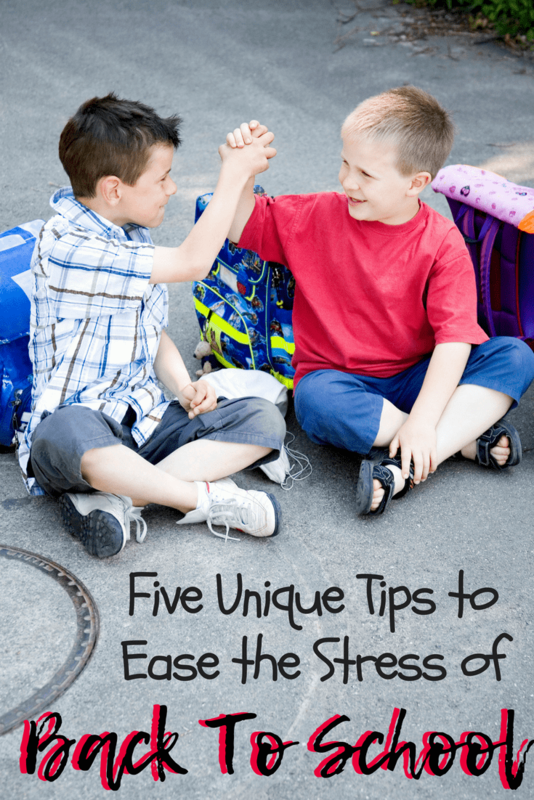 Here are some tips to ease the stress of heading back to school. Students have the stress of new classes, new teachers, a new schedule to remember, and of course getting back into a school routine. As a parent, it is our job to help ease that stress – and now is the best time to get started to make the transition from summertime to school year easier. But students aren’t the only ones who feel stress during back to school season. For a lot of parents, back to school is stressful too – especially when thinking about the future. A recent T. Rowe Price survey indicates that 42% of parents lose sleep worrying about college costs. College tuition and expenses are at an all time high, with no indication of them ever coming down. 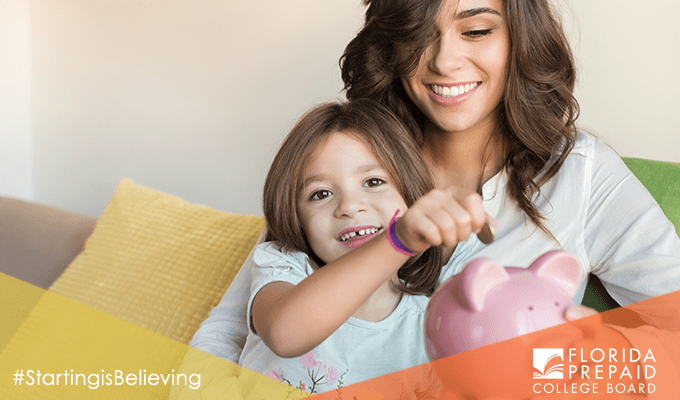 That is why if you are a parent or grandparent of a child newborn through 11th grade, now is the absolute best time to start saving for your child’s future. Florida Prepaid has been helping families save money for college since 1988. As the longest running prepaid plan in the nation, Florida Prepaid has had more than 1.8 million Prepaid Plans sold. A Florida Prepaid College Plan allows families to lock in tomorrow’s college tuition prices today, paying lump-sum or setting up a monthly payment schedule. There are several different plans available to let you choose which one best fits your needs and goals. To help get you started, when you enroll for a Florida Prepaid College Plan now through September 2nd, Florida Prepaid will waive the $50 enrollment fee when you use the promo code BTSBLOG18 – meaning you pay nothing until 2019! There is literally no reason to not get your child started with a bright future. 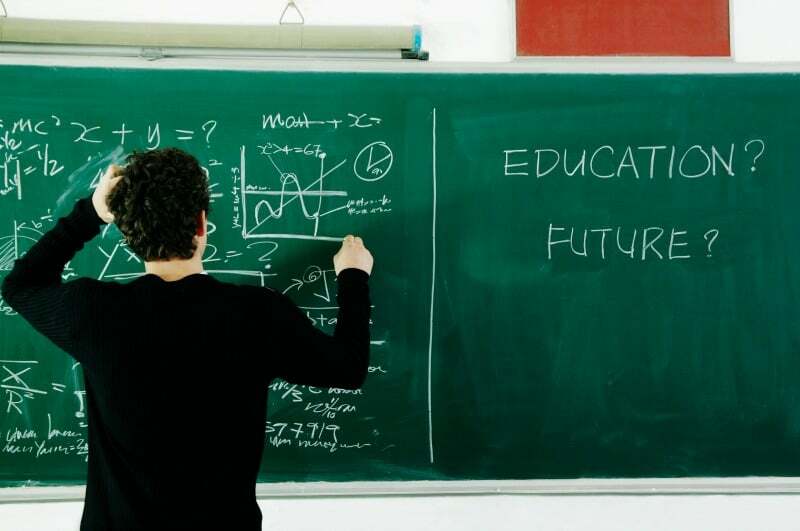 Fully guaranteed by the state, Florida Prepaid allows you to prepay the anticipated cost of tuition and specified fees for your child based on their age. Your Plan benefits can be used not only at Florida Universities and Colleges but also at colleges and universities nationwide. The Big Dreams Start Early promotion helps you get ready for when Open Enrollment starts later this year. Start moving up bedtime. You may have a tendency to squeeze every moment of summer you possibly can into these last weeks – but wearing yourself – and your child – out just days before they are expected to perform well in class is a recipe for disaster. Begin having your child go to bed 15-30 minutes earlier each week until school starts to get her body used to the change. By adjusting your child’s sleep schedule gradually, you will help avoid the shock that often comes with the first week of school. Start waking up earlier. Hopefully when the bedtimes get earlier, the wakeup times will too. But just in case, it is good to start getting into the habit of setting an alarm to get ready for the school day. Like with bedtime, start moving your child’s wake up time earlier to help get her body into that rhythm. Nothing is worse than hearing that 6am alarm when you have been sleeping until 9am every day for the last three months! By moving your wake up times up in increments, your bodies will get more used to the early wakeup, and you will not feel so groggy in the morning. Start eating lunch at the scheduled school lunchtime. One thing I have done since my girls were little is to look up the time they would be having lunch on the school schedule, and plan our lunches around the same time during the last few weeks of summer. No matter how old you are, staying focused when your tummy is growling is virtually impossible. By getting on schedule with school lunch early, your body will come to know when to expect food a little easier, and stave off the feelings of “hangry” that so many of us feel. Start a “quiet time” ritual at the time homework will be. 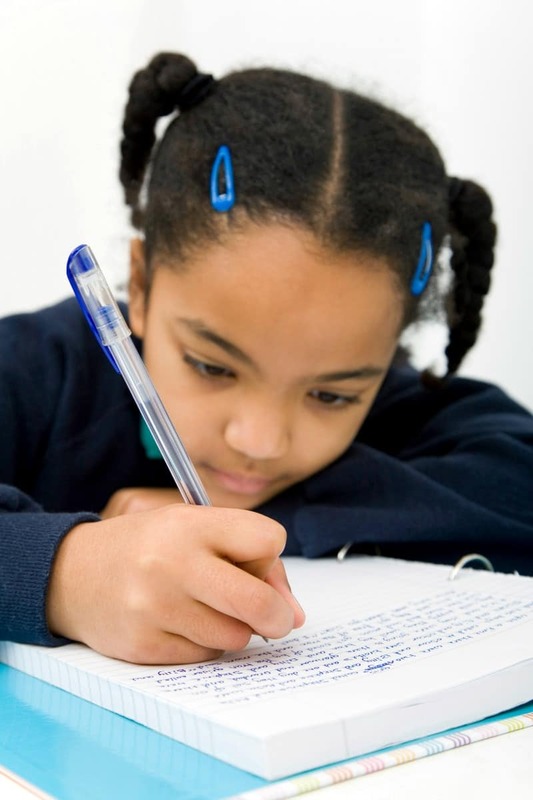 Whether it is reading, brushing up on multiplication skills, or even putting a puzzle together, start getting in the habit of “homework time” so that when it is time to hit the books, your child will be ready and know to expect that time. Take this tip one step further by creating a “homework station” for your child that is quiet and uncluttered and has the tools he or she needs for schoolwork. Make this fun by letting your child choose pretty pens, notebooks, a calculator, etc. that can only be used at this homework station. Start preparing for the future now. One of my favorite cartoons shows a man sitting at a desk telling his coworker that his spell checker is broken – that it keeps changing “l-u-c-k” into “p-r-e-p-a-r-a-t-i-o-n.” The truth is the more prepared you are for what is to come – the easier it is to be ready come what may. Begin thinking of what easy weeknight meals your family loves. Purchase school supplies while they are plentiful on the shelves. Clean out closets and drawers to see what school clothes are needed. Make sure all doctors physicals and updates are finished to avoid the end of summer rush. Going Back to School should be an exciting time, and with just a few minor changes during the last few weeks of summer, you can make it a stress free time as well. I have one who will be a freshman in college and the other one will be in 4th grade. My son starts HIGH SCHOOL next week. I am a bit in denial. I don’t feel like I should have a high schooler yet lol! My daughter is starting middle school! Mine is starting third grade!! Eek!! I remember when I was in third grade!!! my niece is starting kindergarten. I have a grandson going into 8th and one going into 5th this year. My Niece is starting 7th grade this year! I mean where’d the time go?? 8th grade, 1st year college and 4th year college. My granddaughter is starting 5th grade. He will be starting the first grade! My twins are going into fourth grade this year! My daughter will going into 9th grade. First year of high-school. My own kids are grown, but my nephew will be entering 9th grade. My son is starting preschool. My twins are heading to 2nd grade! My Son is starting his first year of College! My godchild starts second grade this year. Thanks for the giveaway! Our grandson has a couple of years to go before he starts preschool. The grand daughters will be in grade 7 & 9. Wow they grow up fast! The oldest will be starting 1st grade – so excited – the others are excited about their kindergarten and preschool classes – growing up fast! My niece will be a senior! My son will be a sophmore in college this year. Well my kids are grow3n but somehow we still seem to use and need a lot of the actual school supplies to run our house! My niece is starting kindergarten this year! I am so excited! My children will be in 6th grade, 3rd grade, and Kindergarten this year. Graduated this summer and heading to college! My daughter is starting 10th grade. My daughter is in preschool and my son second/third grade…we homeschool so the lines get blurred a little. My grandsons are heading into 2nd and 3rd grades this year! Senior High School and Freshman College Students here! they will be heading into 1st grade this year! My kids are going into 4th, 8th, and 9th. My youngest is heading off to 6th grade this year. My son is going into 10th grade and my grandsons are going into kindergarten, 1st and 2nd grade. My kids will be in 4th and 6th grades. My Crystal is heading into 3rd grade this year. They grow up so fast. My niece is starting first grade!! My youngest is entering 2nd grade!! My son just started 10th grade. First grade this year thanks for the giveaway. 10th grade this year. thank you for the giveaway! Nope! no kids! thank goodness! My son will be in 5th grade this year. My boys will be in 4th, 5th, and 7th grade. My child is too young for school. All our children are out of school. My grand daughter is only 8 weeks old. We have a ways to go before school. My daughter is going to second grade. She is so excited to have separate desks now. My baby is starting Pre-K, my middle will be in 2nd and my oldest will be in 5th. My daughter will be starting 4th grade and my son 8th! my boy is going into 3rd grade. My kids are college age, one graduated, one working on a Masters, and one going to nursing school. My daughter is too young for school. My daughter is starting pre-school! I can’t believe she is getting so big! I have a 4th grader and a high school senior. My Granddaughter is starting 2nd grade this year. I don’t have any kids or grandkids heading off to school this year! My kiddo happily started 1st this year! My kids will be in 8th, 9th and 11th grade. my daughter is going to be a first grader!!! my daughter would be a first grader!! We are having a third grade this year. I have 5 kids, one of my twins will be in 10th grade this year (her sister was held back a year) and my youngest will be in 4th grade. My nieces and nephews are pre school through senior year. There is 11 of them and I wish all the best. Many successes to all the students. Good luck! My daughter is headed to 4th grade this year! She is very excited! our son is headed to 2nd grade. he is getting so big. My kids are in 5th & 7th grades. My son will be in 7th grade this year. My son started 10th grade. My son is stating the fourth grade this year. My stepdaughter heads to 9th grade in a couple weeks. My son is a senior this year! My nephew starts kindergarten this year. My son is going into the 6th grade. My kids are in 11th and 12th grade. I don’t have any kids, but my best friend’s son is going into first grade. My nephew is in 4th grade this year. OK,Here we go, PreK, 1, 3, 7, 8, 12, 12, College. My nieces and nephews are all back in school. Just one of them is not old enough now. Growing up on me. I think they enjoy a routine. Thanks so much. My 4-year old daughter started TK last Tuesday. My 3-year old son starts preschool in a few weeks. My youngest will be a freshman this year. My daughter will be a freshman in college this year. I have a daughter going into 4th and one into 7th. My one niece is goin into 4th grade and other I think Sophmore in high school. my son is starting kindergarten this year! My youngest is a senior in high school this year. My son is going into 4th grade this year. No kids, but I am a regular at my local Target! I have a freshman this year, a 7th grader, 5th grader, and a 2nd grader.. I can not believe it! Grades K-12 plus one college. My kids are all in primary school. My son will be in 2nd and my girl is in kindergarten. He is now heading into Senior year of High School. They are headed to 9th grade this year. Grandkids are going into kindergarten and 1st grade. Thanks for the chance to win! My twin boys are in 2nd grad this year! My youngest is in 11th grade this year and my grandson is in first grade. My nephew is starting college. He is so excited and I think a bit nervous too! Both of my kids have graduated college already. My kids will be in 3,5,6. My daughter is going into 7th grade this year! First and Fourth years of college. My son is heading into 1st grade. My kids are now in 2nd & 5th. OMG my daughter is going into 11th grade!! My girls will be in Kindergarten, 2nd, and 7th grade! This year we have Preschool, 1st, & 3rd. I have 6th, 4th, and Kindergartners. My daughter just started college. I am so excited for her. My niece is going into third grade. Good tips. No kids so no back to school shopping. My daughter is in her first year of college . My grandson is almost two, so not ready for school yet. As fast as he is growing he could use new clothes. My grandchild just started first grade. He started Pre-K last week! Go to bed at 8 every school night and no later than 9 on the weekends. Even waiting till 8:30 made a difference last year. So no more of that.